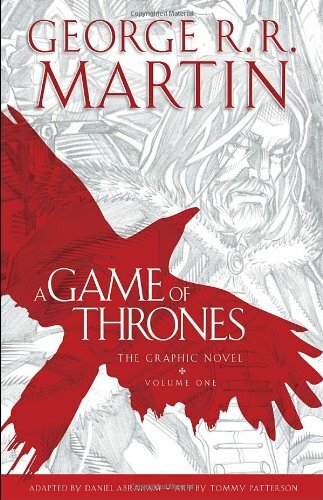 This is the first six issues of a twenty-four issue adaptation of the first book in the Song of Ice and Fire Series from George R R Martin. With the original novels and the successful TV series why would you need essentially a hybrid of the two? Reading this it isn’t yet clear but this is certainly as well executed as either of the other media. The majority of editorial decisions match the TV show so you are gaining some additional dialogue here and there. This is a great read if you don’t want to watch the TV version again but aren’t ready for the novels. Being a literary format however we can have narration, flashbacks and internal thoughts allowing us a deeper look into the characters themselves. You can also read it at your own pace allowing you to digest the concentrated history and plethora of character names. The art and colouring is fabulous. You can see there are hours of pencilling on each page and every background is rendered in full detail. The colouring is rich and lavish as appropriate to the regal locations. Initially it can be hard to tell several bearded men apart but as you read on the characters do flesh out with their speech, bearing and mannerisms. There are a lot of speaking parts and a lot of hard work goes into making everyone memorable. There are some typos in the lettering however. Initially you aren’t sure if it is Martin’s world but in one issue there appear to be three jarring mistakes (pay instead of pray for example) and this is a shocking let-down. The hardcover with its delicate embossing and stylish dustjacket ramp up the production values but it is a shame there is no page marker ribbon. There are dozens of pages of extras describing the start of the project by all the people involved including the commissioners and editors. What is really refreshing is how humble they are and how willing to share how much they have learnt on this project too. A very opulent Thumbs Up! This entry was posted in Graphic Novel and tagged Daniel Abraham, Thumbs Up! by 365gn. Bookmark the permalink.